From baked goods to baked-everything; the sudden rise in fitness trends has catapulted the popularity of baking as a cooking technique to the forefront. However, many amateur cooks tend to stick to the pan, opting to steam and broil instead. Although many different factors can affect your end result, a common mistake made is using the wrong baking set. Based on past difficulties faced and thorough market research, here are the best bakeware sets available in the market to help you bake evenly and perfectly. This bakeware might be a good choice for home cooks looking for a variety of pans in a range of shapes and sizes. 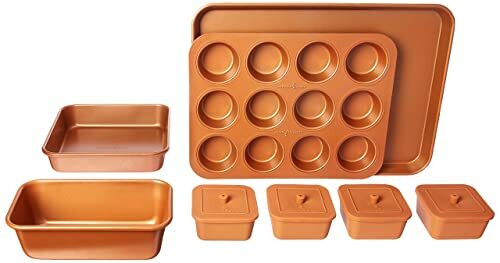 This set includes 10 essential nonstick pieces for baking both desserts and savory roasts, including 2 cookie trays, 2 square pans, 2 meat loaf pans, a rectangle pan (good for baking loaves in), and a muffin pan. The silicone grip handles provide a firm and cool hold, which helps in preventing spills and accidents when holding a hot pan. The grips come in a solid red and blue color adding to the design’s appeal while the rolled rim edges find suitable use in preventing batter from spilling over. Additionally, the set has a durable carbon steel construction and is oven safe for up to 450 degrees Fahrenheit. If evenly cooked food is a requirement for a cook, this set would prove to be useful. The set comes with a warranty, quality assurance and refund possibility. Some people may find the nonstick cover to scratch easily and its performance to reduce in the face of residue buildup from heavy oils. For those who may choose to purchase the set, a useful tip to elongate your bakeware’s life is to cover its silicone handles with foil before putting it in the oven. Direct, intense heat may cause the silicone on the handles to burn off; and avoid using nonstick sprays. This poses as a useful purchase for a home chef with limited storage space and the need for multifunctional bakeware. The set includes 6 nonstick pieces; including 2 round cake pans, 1 square cake pan, a medium-sized loaf pan, a 12-cup muffin pan, and a cookie sheet. The heavy gauge steel core cooks evenly, saving time. The nonstick layers help release baked goods with ease and the set can bear up to 400 degrees of heat only. Some home cooks might experience warping of the pans, a burnt smell, or discoloration after exposure to intense heat while others may notice the pan sizes differ from the conventional full sizes available in the market. This set is compatible with parchment paper or oil, is dishwasher-safe, and comes with a full 10-year warranty. This set might be useful for home cooks looking for long lasting durability. It is lightweight, and warp and scratch resistant. The bakeware set consists of 6 nonstick pieces, which are light weight and include a large cookie sheet, 1 half sheet, 1 loaf pan, 1 rectangular cake pan, 1 square cake pan, and a 12 cup muffin pan. The set can withstand heats of up to 450 degrees Fahrenheit and is warp resistant and its corrugated fluted design allows for even cooking. The aluminized steel construction makes it durable and it is protected by a lifetime warranty. The Americoat nonstick coating is free of chemicals like BPA and PFOA, and might be ideal for home chefs looking for a chemical-free set. Some users might experience discoloration or the accumulation of rusting on the coating after a few years of use. We also don’t enjoy the set’s incompatibility with dishwashers. This set might be useful for an aspiring chef looking for versatility in design to create a variety of foods. It includes 10 nonstick items; including 1 crisper pan, 1 cupcake tray, 1 loaf pan, 1 small cookie sheet, 1 large cookie sheet, 1 round pizza pan, 2 round cake pans, 1 square pan, and 1 large roasting pan. The set is lightweight with ergonomic handles for easy handling when hot. It can also be stored in the fridge or freezer. The body is made of heavy gauge carbon steel, which ensures the even spreading of heat. The perforations on the base of some pans prevent uncooked centers. The nonstick coating is a multi-layer PTFE coating. It is dishwasher compatible and can handle heats of up to 400 degrees Fahrenheit without warping. Some users may notice the coating on some items to rust, or peel off after light use; scratches may also occur on utensils with usage. It is important to keep all items of this set away from continuous exposure to heat levels of above 400 degrees Fahrenheit, as fumes may begin to emanate sue to the nonstick coating. This set might be suitable for a chef looking to add variety into an existing set, as this set lacks variety when used independently. 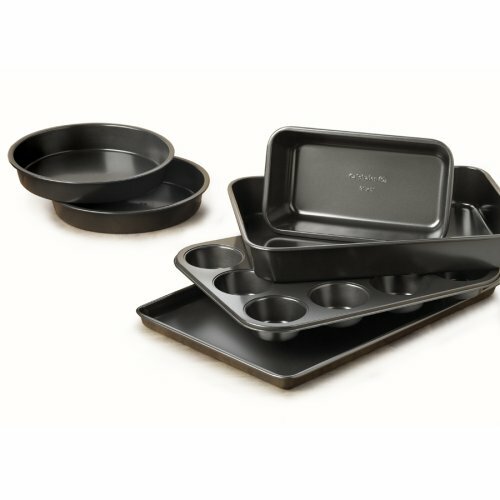 The nonstick set includes 1 Cookie Sheet, 12 Cup Muffin Pan, Loaf Pan, Square Pan and an 8 piece Silicone Ramekin Set. Copper Tech’s ceramic nonstick coating allows for easy removal of cooked food from the pans. The copper design allows new hot spots, resulting in even cooking and preventing the burning of food. It is also PFOA and PTFE free. The pans can withstand the heat of up to 450 degrees Fahrenheit without warping. It is scratch resistant and easy to clean due to its nonstick features. The bakeware’s full size pans are also surprisingly lightweight. Some users may have noticed undue stress being exerted on the ceramic coating when hot pans are placed in water for cleaning. Some may manufacturing defects have also come up, regarding the coating’s durability. Although the ceramic design is tempting, we did not enjoy its lack of easy-grip handles. What Are The Benefits of a Bakeware set? Most bakeware sets include essential tools for creating multiple dishes, saving costs on purchasing additional baking utensils. Good baking sets come with protective grips, preventing burns and accidents when removing cooked food from the dish or the oven. These are ideal for novice cooks prone to accidents. Nonstick and Teflon varieties cannot withstand high heat. They are prone to accidents and can be dangerous. Simple metal sets allow food to cook evenly. Smart designs conduct heat better. They make evenly cooked desserts and savory dishes, cutting down cooking time, and utility costs. The new varieties offer dishwasher safe options, and require less effort to maintain pristine conditions. What Characteristics to Consider When Buying a Pasta Pot? What is the size of your oven? Can the dishes fit in your oven with ease? It is a smart idea to first take a measurement of your oven. After noting down the depth, length and width, you can begin to purchase your set. Does your recipe require a specific cooking pan size? Choosing the size specific to the recipe saves time in tedious recipe alterations. Are you cooking for large gatherings or individual portions? How many people do you expect to serve on average? Are you buying this product to cook at a professional level or for leisure? 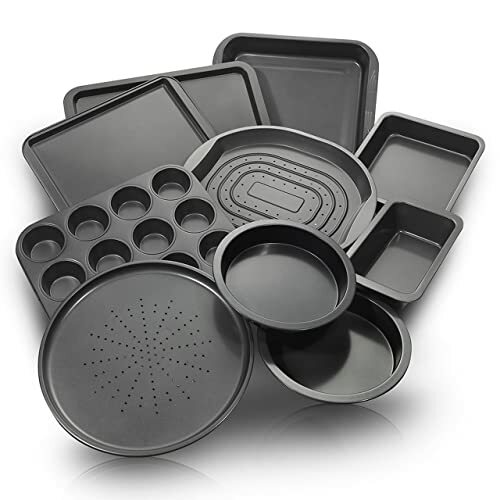 The capacity of a bakeware set is an important aspect to think of when deciding your purchase. How many times of the week do you cook? 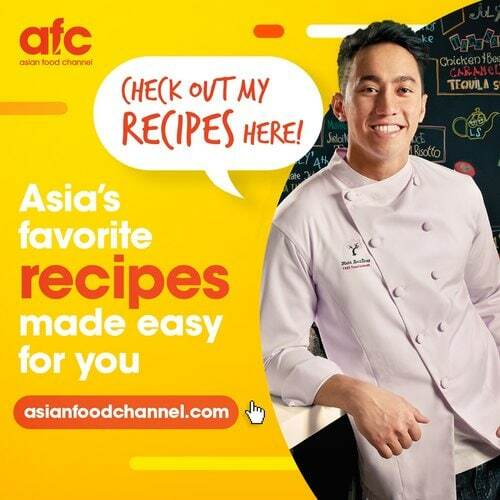 Are you baking only desserts or using it for savory and saucy dishes as well? Are you cooking with fat? The frequency of use and type of food you choose to cook will affect your choice of baking set. 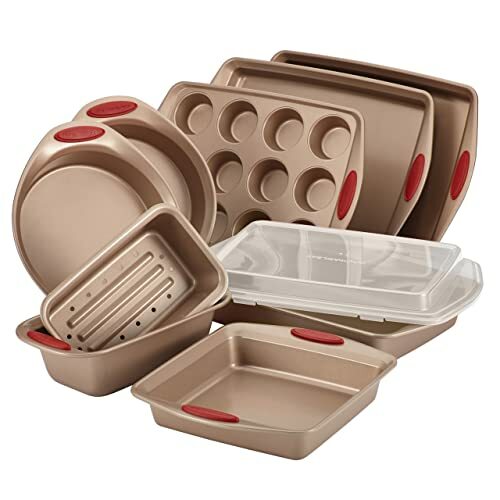 The size and storage space required by a bakeware set is often a high priority for some consumers. Are you working in a congested space? Do you have sufficient storage? If working in a smaller kitchen, buying a set that allows multiple applications proves more convenient. What sort of oven do you own? A gas or electric is compatible with most variety. Are you looking for a microwave safe option too? Most steel varieties are not compatible with microwaves at all and can cause explosions. Do you use a dishwasher to clean? Consider the methods you may want to use to wash the pan. Most nonstick bakewarer varieties are not dishwasher friendly. What kind of a budget have you set aside for the purchase of the bakeware set? Are you looking for intense or light cooking capabilities? When upgrading to better quality, keeping the affordability factor in mind is advisable. Sets offering better quality and durability tend to cost higher. Are you a beginner at cooking? You might need to choose the nonstick variety for more practice. High durability is an important aspect to keep in mind if you have a small replacement budget. Nonstick can be dangerous and may explode in various circumstances. Variety with Silicone grips offer easy handling of hot dishes while thicker bases are sturdier and less likely to bend. Certain chemicals used in the bakeware’s manufacturing may cause allergic reactions hence you must consider if you may be allergic to any specific materials. Choose a material better suited to your body chemistry. The USA Pan Bakeware qualifies as our best bakeware set for the creation of various baked desserts, roasts, and savory dishes. 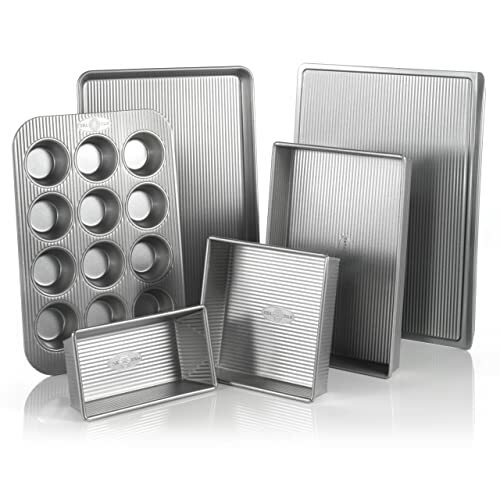 The 6 Piece set is versatile in use allowing different shapes of cakes to be baked. The sheets provided are also multifunctional and can be used for roasts or cookies. The set can withstand heats of up to 400 degrees without warping and the corrugated design allows fast cooling and a BPA and PFOA coating free. Its steel build provides it durability, which helps it pose as a suitable option for chefs looking for long lasting bakeware. The set provides scratch resistance with a lifetime warranty, and rust does not begin to accumulate until after years of use. With a lifetime warranty, nonstick properties, and the multipurpose nature of its pans this model justifies its price and emerges as our best bakeware set in 2019.